Red Herring just announced the finalists for the first ever Red Herring Global 100 award, and we are happy to be one of them! The companies that made the final cut were selected from the winners and runners up for the Red Herring 100 awards in the US, Europe and Asia over the last 3 years. Out of the 1800 companies eligible, 200 were selected as finalists, and the 100 winners will be announced on December 3rd at the Red Herring conference in Seattle. Out of the 200 finalists, only 19 are software companies (actually, only 16 are classified as software companies - Openbravo, Pentaho and Green Plum are listed in the Internet & Services category, for some reason.) Out of those, 8 have businesses based around open source software. It is great to see that nearly 50% of the 'most promising privately held software companies in the world' are open source companies, and that several of those are also BitRock customers. Congratulations to Alfresco, Collabnet, Funambol, Green Plum, Ingres, Pentaho and Openbravo. We're honored to have been included in such an impressive group. We are still working on fixing some issues. In particular, installers generated with this version will not work on Mac OS X 10.2. We know this version is considered 'ancient' but is still important to some of our customers, so we are currently looking at ways to address this. Please give the installers a try and let us know what you think. As you may know, BitRock Web Stacks make it easy to have a complete Apache, MySQL, and PHP (AMP) stack installed and running on Windows, Linux or Mac OS X in just minutes. We recently released new versions of our popular WAMP, LAMP and MAMP stacks on BitNami.org, a website built to help encourage the adoption of open source software by making it easier to install and configure. In addition to the Web Stacks, you will find several application stacks for popular open source software such as Joomla!, Drupal, Mediawiki and Roller. 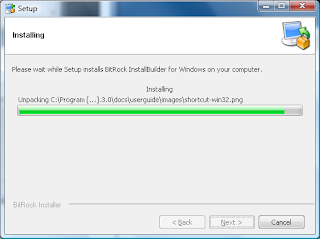 Just like BitRock Web Stacks, they include everything you need to run the software and come packaged in a fast, easy to use installer. All BitNami stacks are released under the terms of the Apache 2.0 license. To download the Web Stacks from BitNami, visit http://www.bitnami.org/stacks. If your favorite open source application hasn’t yet been packaged, you can vote to have it packaged next. BitRock will be attending the fourth annual Open Delta aLANtejo conference in Evora, Portugal from October 19th through the 21st. As one of the largest IT events in Portugal, Open Delta aLANtejo is hosted by the Computer Science Students Association of University of Évora, in association with Delta-Cafés and in partnership with University of Évora. The focus of this year's conference is on leading open source projects and free software development in Portugal. Daniel Lopez (BitRock Founder and CTO) and Daniel Liszka (BitRock Developer and RubyStack Project Lead) will be presenting during the conference on the topics of Open Source Stacks and Ruby on Rails. We plan to cover some good material on both these topics and hope you can attend the conference if you're in the area. A complete list of improvements is available on our changelog. 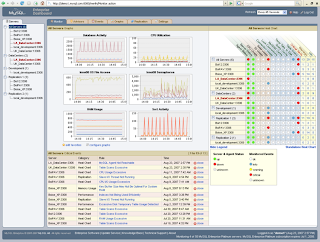 MySQL Enterprise Monitor is a pretty impressive application monitoring framework. In addition to raising alerts when necessary and tracking performance over time, also provides configuration suggestions based on best practices. BitRock has been working closely with MySQL over the last year in the packaging and deployment of the stack that supports MySQL Enterprise Monitor, and we have been impressed with both the team and the product. If you are running MySQL in production, we encourage you to check out the free trial. We recently released a beta of the upcoming InstallBuilder 5.0. Among other enhancements, this release adds LZMA compression and better integration with Vista. Our testing showed that the new compression algorithm reduces installer size by an average of 20%. We've also worked on improving installer start-up speed, and you'll see a noticeable improvement in this new release. Zach Elko, a participant in Google's Summer of Code has been working on creating an installer for the open source project OpenMRS. OpenMRS began in 2004 in response to the AIDS pandemic and the lack of access to efficiently manage medical information in developing countries. It provides users the ability to design customized medical records systems with no programming knowledge. OpenMRS is often deployed in environments with limited technical expertise. The installer Zach developed using InstallBuilder helps end-users quickly and easy get the system up and running. For more information about OpenMRS and a little bit about our involvement check out this Google video by the founders of the project. We're very happy to have been able to help in this project and look forward to hearing more about their success. If you are an open source developer looking for an installer to help ease adoption of your project, please contact us. Over the past year, we have been working closely with Trolltech® to develop and market InstallBuilder for Qt®. InstallBuilder for Qt is the only multiplatform installation tool on the market that generates installers with a Qt front end, to provide a truly native look and feel across all supported platforms. If you are a Qt developer or are considering moving to Qt, we highly encourage you to attend. And, if you’d like to meet up with us at Developer Days to talk more about InstallBuilder for Qt, just shoot us an email at info@bitrock.com with “Trolltech Developer Days” in the subject line, or leave a comment below. In the past, we've used our expertise in integrating open source software to develop easy to install, pre-integrated Web Stacks like LAMP, MAMP LAPP and Mono stacks. And we've now used that experience to release our latest stack, RubyStack. We received several requests for an easy to install, pre-integrated stack for Ruby, so we put something together that will make it easier for developers to take advantage of the benefits of working with the Ruby programming language. RubyStack offers a choice of two installation profiles, Production and Developer. The production profile will install Ruby, Subversion, Apache 2.2 with rewrite and proxy support, SQLite, MySQL, ImageMagick and many popular Ruby Gems, such as: Rails, Mongrel, mongrel_cluster and RMagick. The Developer option is a more compact distribution that does not include Apache. Both versions are currently available for Linux and Mac OS X Intel. Future releases will include support for OS X PPC, Windows and Solaris as well. With RubyStack, you'll have everything you need to create dynamic, engaging web sites and applications, without the hassle of integrating, configuring, and supporting your own build. You can download or learn more about RubyStack on our website, bitrock.com. We've partnered with FiveRuns to design, promote and distribute the stack, and it can also be downloaded from their website (where it is distributed under the name RM-Install). Kudos to Oliver, Dean and the rest of the team over there, for their extensive feedback and suggestions to improve the stack. As one of the largest and most anticipated events of the year, we’re happy to be attending LinuxWorld 2007. This year’s conference promises to be great with speakers from many of the leading open source companies such as MySQL, Alfresco, Zmanda and SugarCRM (many of whom are BitRock clients). If you’re planning to be at LinuxWorld, we’d love to see you, drop us a line at info@bitrock.com. We encourage you to download InstallBuilder 4.5 and give it a try. In countries where names are very common and there are no social security numbers, it is next to impossible to keep patient records and even more difficult for medical staff to provide healthcare based on those records. Gnosis, the developer of an application called Four Corners Medical System, is working to address this issue. The software is designed to improve record keeping capabilities, aggregate patient data for medical research and provide medical support services to national infrastructure in developing countries. The challenge facing Gnosis was the ability to quickly and easily install the application and all its dependencies. Without this functionality, the system would require much more sophisticated knowledge that is not available in the clinics it is meant to help. Rogers Hellman, the Founder of Gnosis, approached BitRock to build a Custom Stack for the Four Corners Medical System that bundles a ready-to-run LAMP stack (Apache, MySQL and PHP). The complete software stack is packaged with InstallBuilder, making it fast and easy for anyone to get the software up and running. With this Custom Stack, Four Corners Medical System has been implemented in five clinics in developing areas of Guatemala and is slated to be implemented in two more this month. We are very happy to be able to contribute our expertise and be a part of the effort to improve health services in developing countries. We hope the ease of installation of Gnosis’ software will enable many more clinics and medical professionals to take advantage of this unique and valuable tool. To learn more about Gnosis and the effort to enable health care providers in developing nations to better manage medical treatment visit www.gmproject.org. http://www.bitrock.com/download_installbuilder_changelog.html, or to download visit http://bitrock.com/download_installbuilder_download.html. We offer interesting, cutting-edge projects, an international work environment and competitive salaries. If you think you would be a good fit for either position, please send your resume to careers@bitrock.com and in the subject line include the job title of the position you are applying for. Any previous involvement and in-depth expertise with key open source projects such as Apache, PHP, Mono, MySQL, and PostgreSQL is a big plus. BitRock has been invited to attend next week’s Linux Foundation Collaboration Summit, which will be hosted at Google’s Mountain View Campus. The Summit brings together several of the brightest minds in the Linux ecosystem to discuss everything Linux, from how to get more users onto Linux to Kernel Messaging. Of course, we are especially interested in the packaging discussion, which will allow us to share some of our experience in packaging open source software for a wide range of Linux distributions. If you’re attending the conference, please keep your eye out for us to say hello. we’ll be the very jetlagged Spaniards. We are happy to announce that BitRock open source stacks have been downloaded over 500,000 times. We’d like to thank our customers, whose success has helped to drive our own. If you aren’t familiar with BitRock Custom Stacks, you can learn more on our website. Basically, we build customized, integrated stacks of all of the open source software an application requires to run. In many cases, the stack is essentially a customized AMP Stack, with Apache, MySQL or PostgreSQL, and PHP, Python or Perl, along with other components such as OpenSSL or phpMyAdmin. We also build a lot of Java-based stacks, which typically include MySQL, JBoss or Tomcat and the Java runtime, along with other software. If you’d like to take a look at a few of the stacks we have done for customers such as JasperSoft, MySQL, KnowledgeTree, Pentaho and Openbravo, we have a few short case studies and videos of the installation process posted on our site as well. BitRock is proud to be a sponsor of the Open Source Business Conference, which is taking place in San Francisco on May 22nd and 23rd. Erica Brescia will be offering a “sneak peak” demo of our upcoming product on Wednesday the 23rd between 12:15 -12:30 PM in the Grand Ballroom, so don’t miss it. We’ll also be at our booth in the Grand Ballroom throughout the conference, so please stop by and say hello if you are attending the conference. Vista look and feel enhancements. Default language can be set to 'auto' for autodetection. Daniel Lopez (BitRock's founder and CTO) will be giving a talk at the upcoming Mundo Internet conference in Malaga on May 16th (link). He'll be discussing the advantages of using open source in small businesses, and will be highlighting several commercial open source projects, including a number of BitRock customers, such as SugarCRM, KnowledgeTree, and Openbravo. In future blog entries, we will discuss how to use these and other new features in BitRock InstallBuilder. The OpenBravo license in based on the MPL, and the software is available for download from Sourceforge. Red Herring has announced the Red Herring 200 finalists for their European awards. BitRock was one of the companies selected. It seems we are in good company, including some clients like OpenBravo and our friends at Ring2 (if you live on a BlackBerry and do conference calls, you need to check them out). Congratulations to the Zmanda folks on the release of the Zmanda Management Console, a slick web-based product that significantly reduces the burden of installation and ongoing management of Amanda servers, especially in complex enterprise environments. 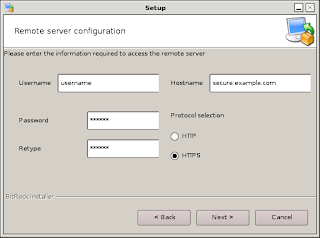 ZMC itself is installed with the Zmanda rapid installer, based on BitRock custom stacks technology. Checkout the flash video of the installation process. Java multiplatform installers are sooooo 90s. Increasingly, a great number of our InstallBuilder customers have been InstallShield refugees. 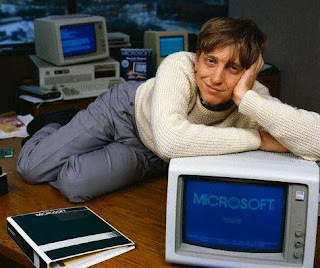 Desktop application development has never been Java's forte, but one of my early experiences with multiplatform installation tools was the now defunct InstallShield Multiplatform. The tool had a lot of shortcomings, but what really irritated me was the really ugly Java AWT interface that made us Linux users feel like we were second-class citizens. Because of those early experiences, at BitRock we always strive to offer you a truly native installation experience. For example, on Unix we provide both Gtk and Qt-based frontends to our installation tool. In addition to being pretty, by virtue of not requiring the bundling of a JRE, our installers are also lean and mean, as we will comment on future posts. We are currently hard at work on the 4.2.0 version of InstallBuilder. It includes support for FreeBSD 6.0 and Linux on IA64 (Itanium). Although regular FreeBSD 5 and x86 Linux binaries can run ok with compatibility libraries installed, we had customer requests for pure, native ports. Expanding on the multiple parameters per page feature introduced in InstallBuilder 4.0, you can now arrange parameters on screen. To do so, you can now set the orientation property of a parameterGroup parameter to horizontal or vertical. See the pictures some examples running on Windows and Linux (Qt mode) and the corresponding XML code. Click on the images to see them full-size.